The American modernist poet Ezra Pound was born 130 years ago on 30 October 1885 and died 43 years ago on 1 November 1972. NOTES — red: the colour of the hair of Pound's mistress, Olga Rudge; Aeneas: in the Aeneid, recognized his mother Aphrodite at first glance. Suzon, the girl behind the bar, Olga and Aphrodite all blended into one. 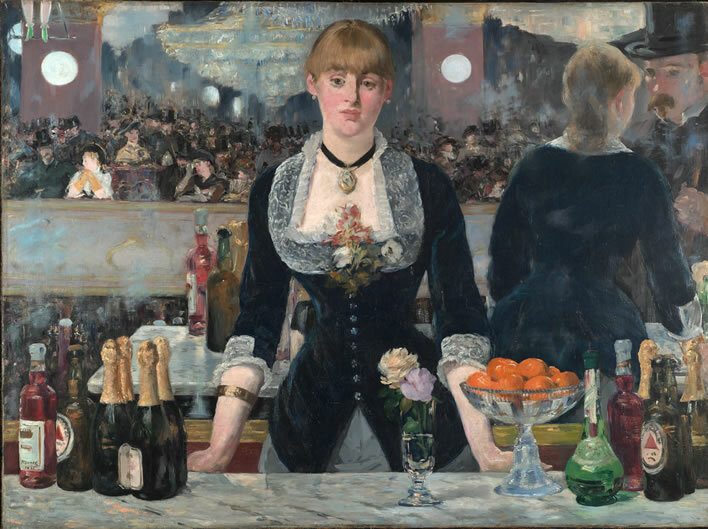 Édouard Manet (1832-1883), Un bar aux Folies Bergère, 1882.